Half of acquisition deals close. The other half don’t. 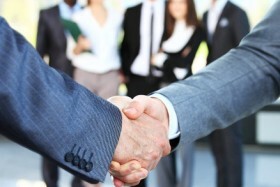 I recently represented a client in a transaction in which the deal died. She offered to share lessons learned from an unsuccessful acquisition. In this article, she has given us four lessons learned from the ultimately unsuccessful negotiations. These are the four major lessons she wanted to share with other potential purchasers of small businesses: lesson 1: seek legal guidance early on; lesson 2: be specific about due diligence requests; lesson 3: early misalignment is a sign of the future to come; and lesson 4: better understand certifications for government contractors. You have a small company and formed the business as a limited liability company. You think that securities laws are only for large companies. But If you think that the Securities and Exchange Commission is not interested in selling some membership interests in your LLC, you may want to think again – and ready this article. You have to be worried about federal and state securities laws only if you are selling securities. The big question is whether membership interests in an LLC are “securities.” The sale of certain limited liability company interests may fall within the ambit of a securities transaction. This article addresses the question of whether ownership interests in a LLC are subject to securities laws. In the next article, we will discuss what are the implications of treating the sale of ownership interests in a LLC as a securities transaction. Then you need to think about who you can sell those LLC interests to and who can represent your company in finding investors. 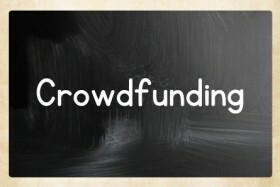 Primer on crowdfunding for small businesses. 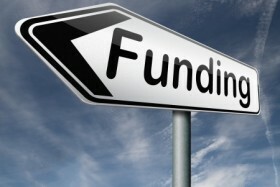 The startup or small business faces daunting challenges in attracting funding. Simply, startup funding isn’t simple. The Jumpstart Our Business Startups Act of 2012 (the JOBS Act) added another arrow in the quiver of those looking for funding sources for their startup or small business. Crowdfunding has been around for a while, but the JOBS Act added an entirely new dimension to crowdfunding. This blog post discusses innovations recently introduced to allow the small business to attract investment through crowdfunding. The new crowdfunding rules are “designed to assist smaller companies with capital formation and provide investors with additional protections.” Crowdfunding may not be for every small business, but you should at least familiarize yourself with the contours of the JOBS Act crowdfunding and decide whether it is an avenue that your small business may want to pursue. If you ask entrepreneurs what are their major challenges in getting a new business off the ground, the three most common responses are money, money, money. There are indeed other major challenges but the primary concern of most new businesses is how to attract startup funding. Whether the entrepreneur is opening a small service business or introducing a new product onto the market, the challenge of funding looms large. When these small business owners face a major hurdle in attracting funding to support their new businesses, either as they are starting out or as they try to grow the business, they have at least three options: funding their business with their personal reserves; taking out a loan; attracting investors. This Rosten Law blog briefly discusses each of these options.